But it's not always easy. "We sometimes find it challenging to find age appropriate tools and activities to share with our young children, teachers and parents," Fred says. Pixie: combines a paint program with text options, clip art, voice recording, and standards-based curriculum activities, as they develop podcasts, online storybooks, videos, and Flash animations. 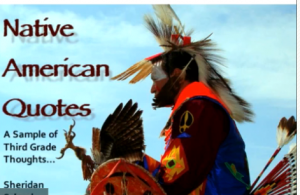 Project: A third-grade Native America Quotes Project that teaches higher level thinking skills. Students were asked to reflect on a quote or saying from the Native American culture. Each third grader picked a quote and, with the teacher, created a Pixie slide and recorded his or her reflection. VoiceThread: a collaborative, multimedia slide show that holds images, documents, and videos and allows people to navigate pages and leave comments in 5 ways - using voice (with a mic or telephone), text, audio file, or video (via a webcam). Project: A student tells the story of her dog Buster and some history on the Brug. Weebly: a free and easy web-authoring tool. Project: A very special student, Maxim, created a volcano site with links to videos that feature Maxim himself. 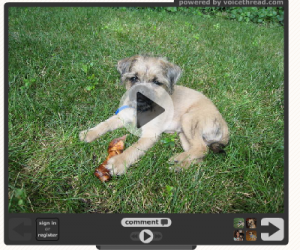 Animoto: Free site that produces video pieces from photos, video clips, and music. Project: Using music and images to demonstrate knowledge of the concept of symmetry. iMovie: Apple's editing, organizing and publishing video software. Project: Who’s Really In There? A behind-the-scenes look at Sheridan School, using digital storytelling to engage reluctant students. Educators, parents: Write in and tell us what websites and software you like to use to spur the imagination of grade-school kids!